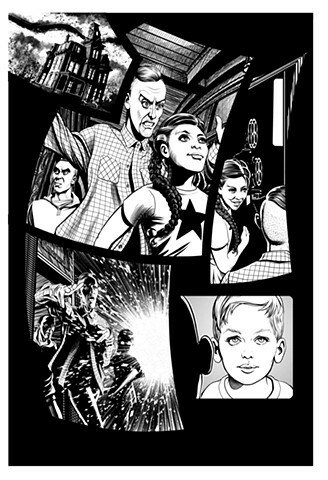 Page one of the 'Shards' story in The Burning Metronome series written by Alan Brooks. The small house picture in the upper left was blown up and used as the front cover. Colours and lettering were added by Matt Strackbein.